I had a dream that I stole a white NA Miata, then I woke up suddenly at 2am and I’ve been stressed ever since, Er more stressed than usual. Like that, just cleaner. Like factory fresh. Damn thing looked brand new. I’m that Tetrapod this morning. 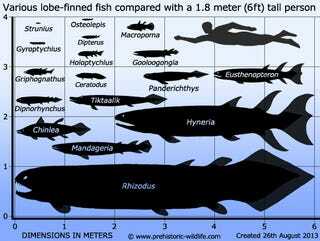 I’ve been eaten by an Rhizodus, a fish that’s been extinct for millions of years.